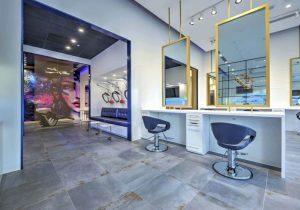 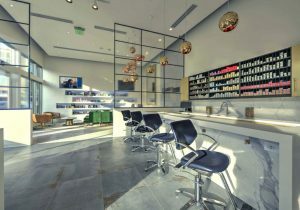 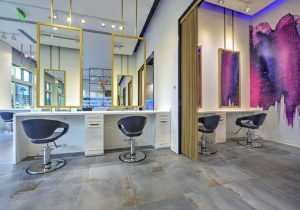 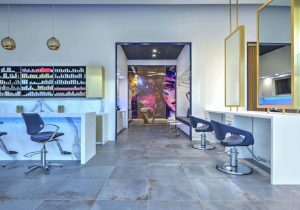 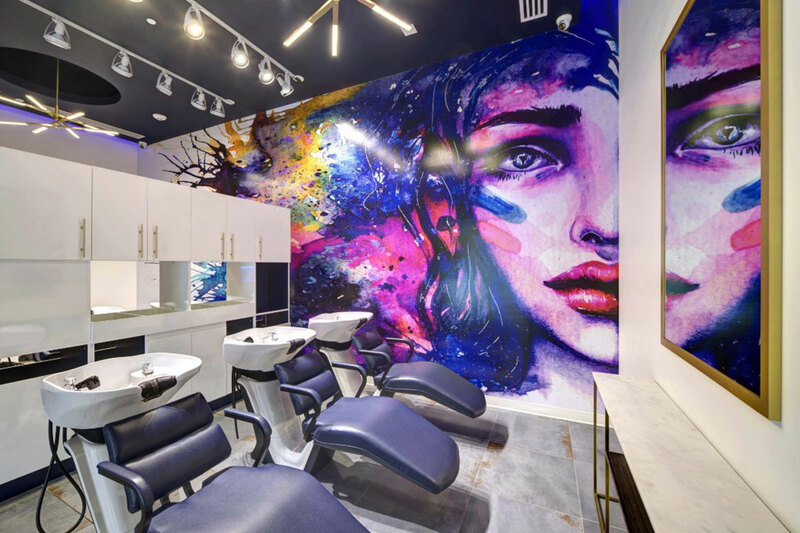 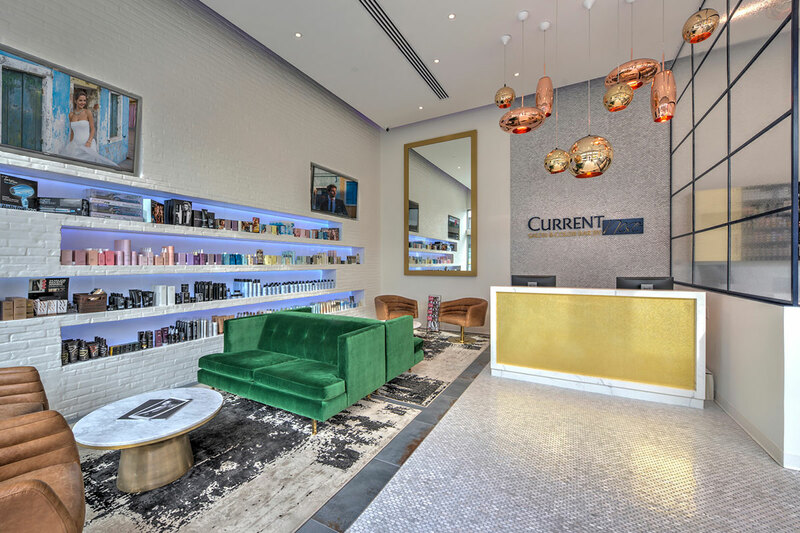 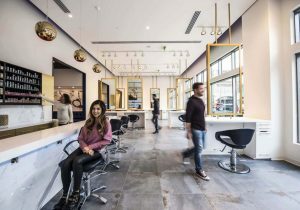 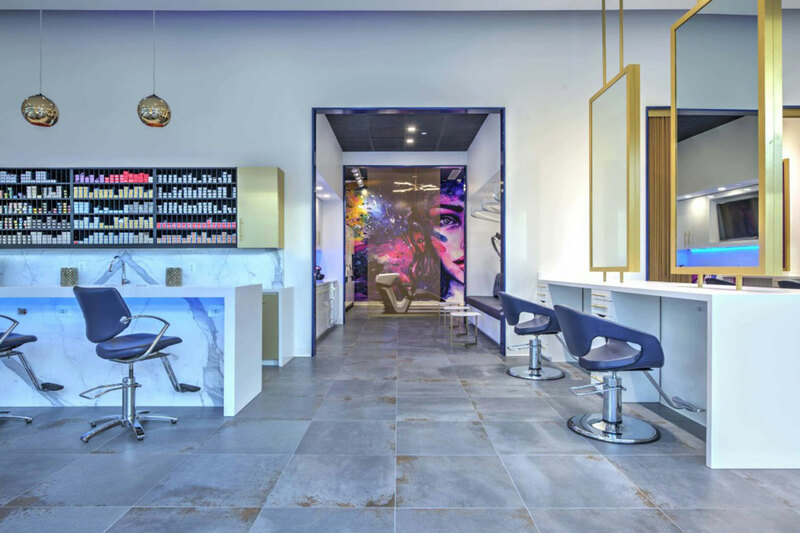 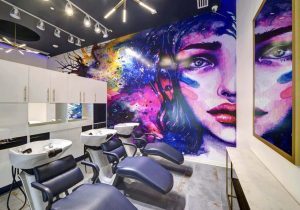 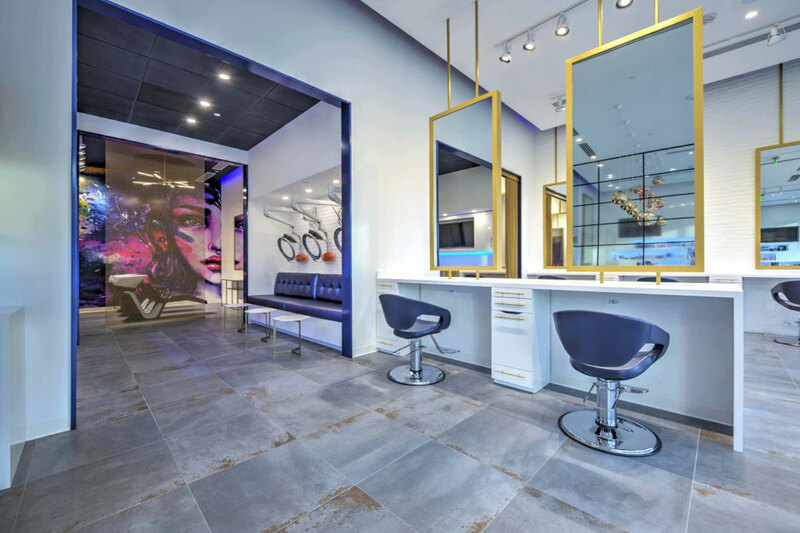 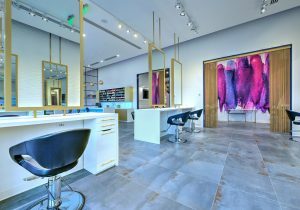 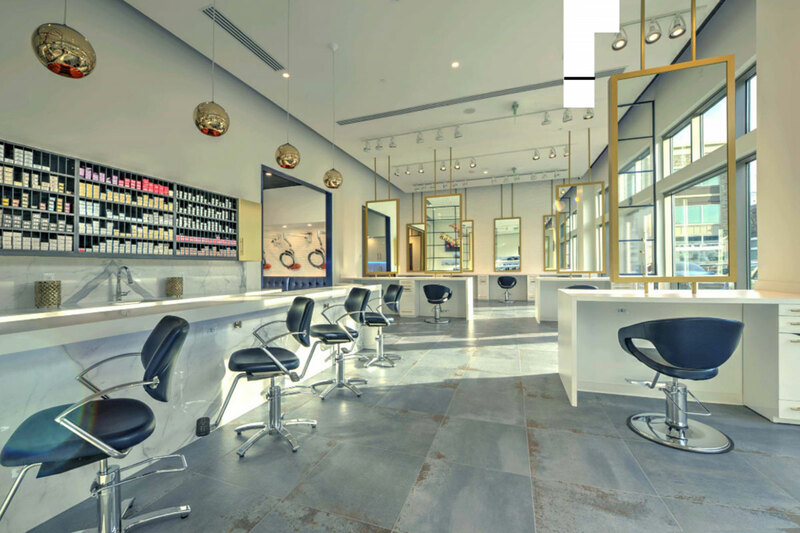 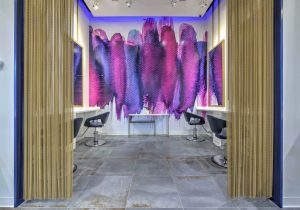 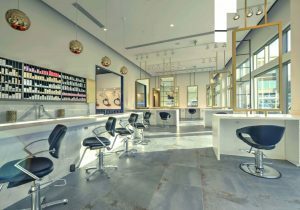 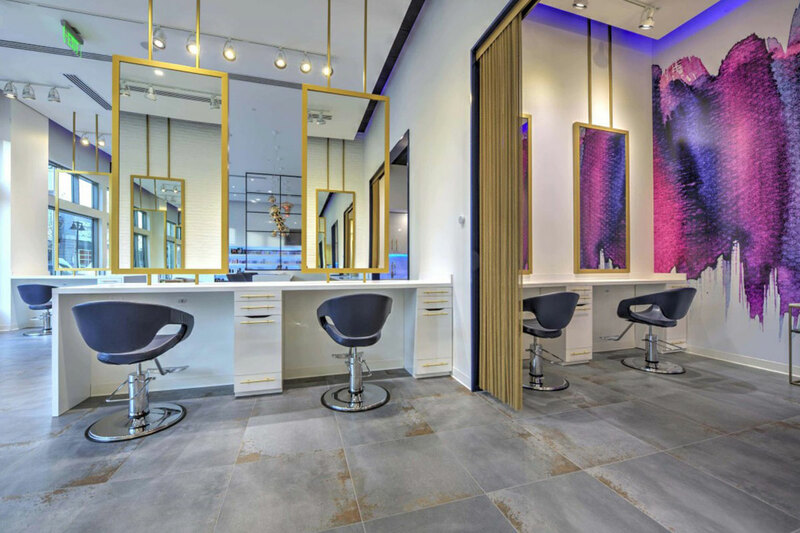 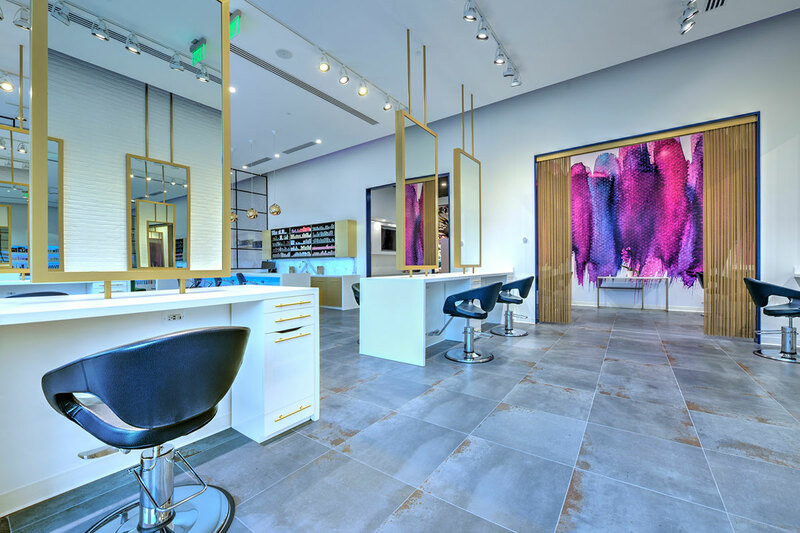 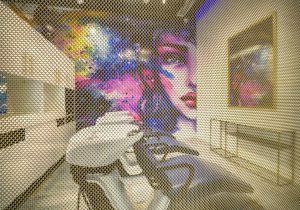 Current Salon & Color Bar – Ashburn, VA – Blending eye catching hues and textures with a collection of luxurious equipment and elegant adornments, Current Salon & Color Bar brings a harmonious look and feel to the North Virginia area. 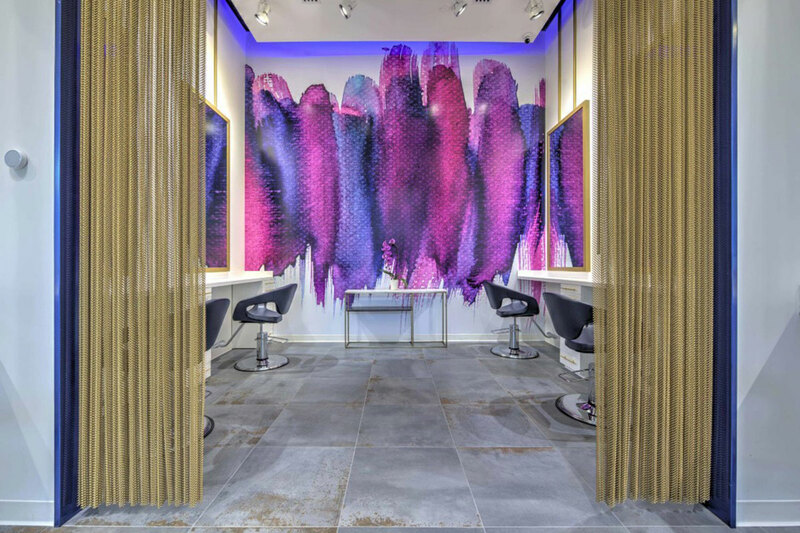 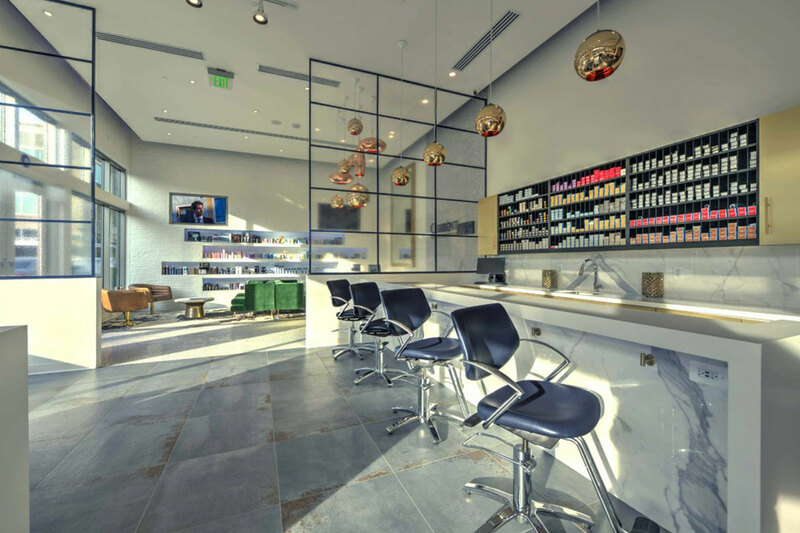 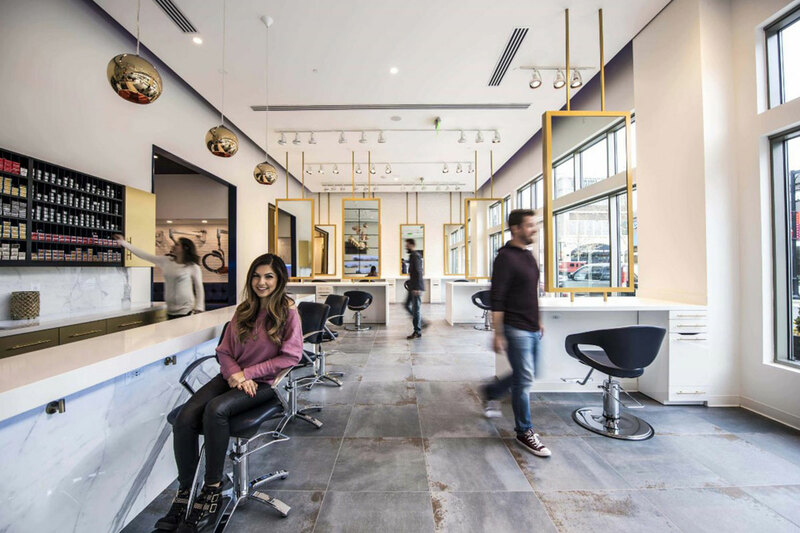 The energetic and vibrant salon features 15-foot ceilings and suspended mirrors to create an airy aesthetic—which is contrasted by a private, relaxing, and peaceful wash area featuring RSIII backwash units. 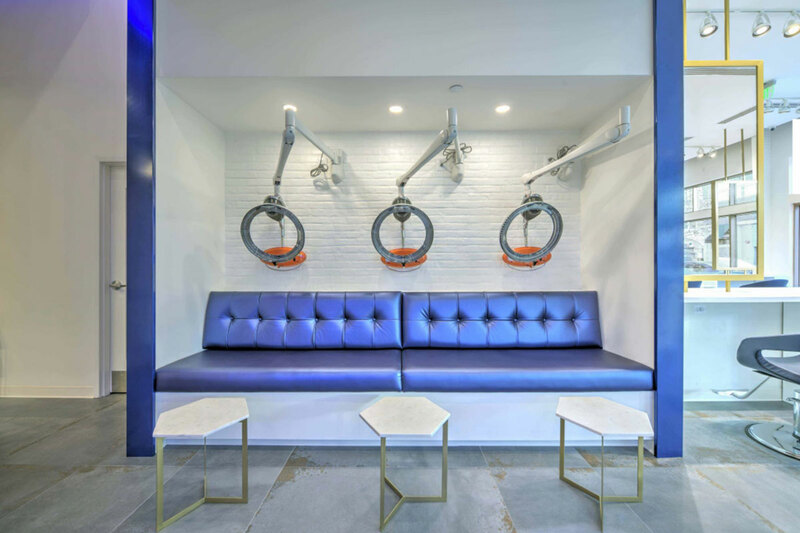 Centrally located within the space is a color processing area with wall-mounted Roller Ball F processors to enhance and expedite services.